I’ve talked about how the most important parts of your email are your subject line and your from label, but without the proper list to send your email marketing campaign to, you’re outta luck. You can have the best offer and the prettiest content, but if your target is off, your response rates will be too. So what are a few things to think about when selecting your lists to maximize your rates? The first thing you’ll want to do is look at the make up of your lists. Previous customers will give you your best response rate, especially the ones who have purchased from you recently. The key here is to look at what these people have purchased, and get them to either buy more of the same, or cross sell them other products or services that make sense.Then track their response separately so you can look at response rate trends over time. Key Takeaway: Track these people separately and find the ones who HAVEN’T purchased in a long time, then do a win-back email campaign. Getting a previous customer to buy again is a lot cheaper than getting a new customer! You may have met someone at an event or visitors to your site showed some sort of interest in your business. They will probably give you your second best response. If you’ve collected business cards from people or they’ve filled out some sort of form on your website, these people have definitely had some sort of interaction with you. They’ll never respond like your customers so your key is to move them to the customer bucket with great offers or something actionable. Key Takeaway: Keep the funnel full! Always have a way to get leads and always be moving them through the purchase process. If you’ve got a great newsletter with really good content, have a version for the folks who aren’t yet customers with a special offer for them to convert. First of all it’s very questionable whether you should be mass emailing these types of people and most Email Service Providers won’t actually let you do this. These people may have not heard of your company and could likely be put off by you sending them unsolicited email. Then not only will you have a negative reaction to your business, even worse, they could tell their friends about their experience. Key Takeaway – Don’t send unsolicited email, you’ll just wind up getting your business in trouble. You might want to try either renting a postal list of potential prospects or looking at a list of leads you might have acquired over the years. Then send them a postcard. In the postcard you can direct them to the web and give them a great offer or a free download so they’ll move into the first two lists. 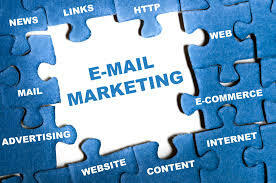 Your list is the most important part of your email marketing campaign, what are you doing to cultivate it?